Multi interfaces for connecting to various multimedia devices. Manual adjusting focus to get clear image and video. Energy saver. 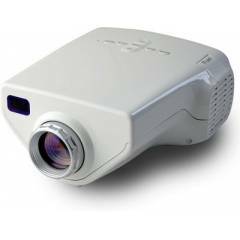 Stylish & Quality based projector. Its just amazing!!! liked that its a bit stronger than others in this range and its really fum watching movies on this big screen.